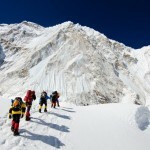 Scaling business is challenging even for established entrepreneurs. It’s not enough just to know where you’re going. You must also know how to get there. Fortunately, there’s a way to avoid that trap. It is to ensure you have the Right People doing the Right Things Right! Read more..
Every successful business goes through 5 steps before attaining the FREEDOM of choice stage.Take some time to reflect on where you are on this 5 Steps to FREEDOM. 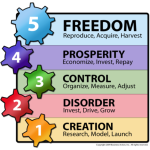 I will explain each step and then you can take the FREE 5 Steps to Freedom Assessment to help reflect on your current state of business. Read More.. Customer service can make or break your business. If you provide your customers with a simple, efficient, pleasant experience they will revisit your business over and over. More importantly, they will tell everyone they know! 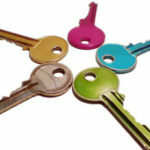 Follow these four steps to implement a high quality customer service system for your business. Read more..
You may offer the best product or service that’s uncompromising on quality and competitive in price, but without marketing no one will know about it. That’s why having a successful marketing campaign that targets potential customers is extremely important. Read more..
At BizBeacon, we help entrepreneurs to scale their business and turn it into a hands-off source of cash flow. Our core values are Uncompromising Integrity, Exceptional Customer Service and Collaborative Work Culture. I have 20 years of experience scaling businesses in the technology industry. I leverage this experience along with a proven business coaching system to help entrepreneurs boost profits and build high performance teams. We guarantee success and higher profits for our clients with the unique combination of our core values, 20+ years of experience and a proven coaching system. My role as your coach is to bring Awareness of possibilities in your business, provide customized Education in business building best practices and hold you Accountable to achieve peak performance. We specialize in coaching business owners in sectors including the technology industry. 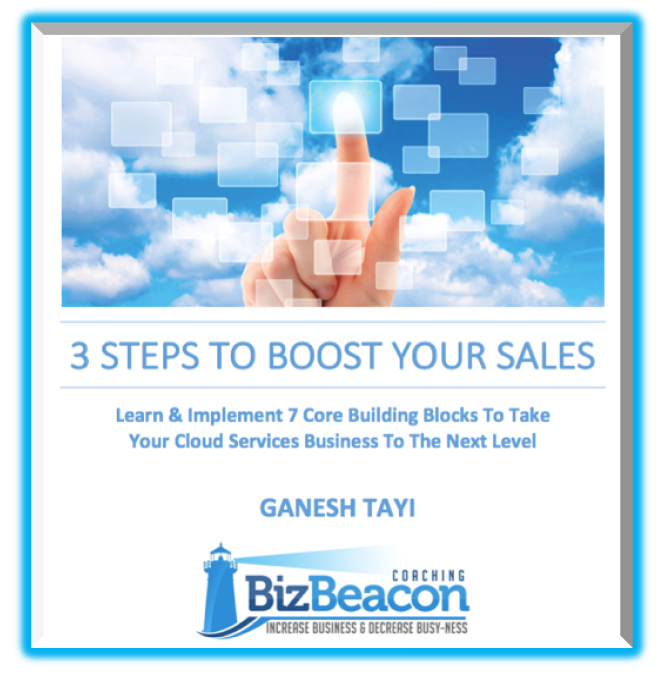 BizBeacon's webinar "3 Steps to Boost Your Profits" made me realize where I was losing time in the sales process. We tweaked some of our methods and started seeing improved results. 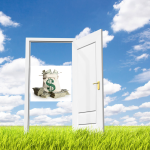 Increasing revenue with current clients was a blind spot prior to this webinar, we started focusing on that and walked away with more business. I attended the "3 Steps to Boost Your Profits" webinar and also had my coaching session with Ganesh. He helped me identify three key areas of improvement in my business. I was able to improve lead generation, focus on sales activity process and increase pricing. 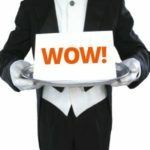 Ganesh asked thought provoking questions that made me realize the value of our services and he convinced me to stop upfront discounting in my proposals. I highly recommend Ganesh's webinars and coaching programs to anyone serious about growing their business.